- Update: Implemented the “Pool setup wizard”. - Update: Fully integrated help system. - Update: Documentation has been greatly improved. - Bug fix: A number issues with add, merge and convert a drive have been fixed. - Bug fix: Creating a folder now implements the requested attributes against the folder. 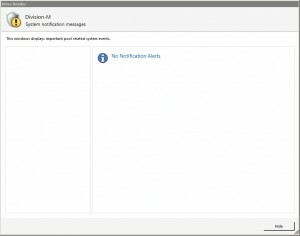 - Bug fix: The health monitor could take a very long time to perform a single pool scan. - Update: The amount of I/O generated by the health monitor has been greatly reduced. - Bug fix: A number of minor interface and server issues. I have upgraded to this version and am currently working with it now. Drive Bender does seem more stable with this update. They also have released a new manual, which seems to be a printed version of the online help. Test: Will Drive Bender overwrite existing data? One of the benefits of Drive Bender over WHS v.1 is that Drive Bender can use existing data from the hard drive and doesn’t delete any data. I really wanted to find out if this was true. I took a backup hard drive I had of some the data I had already imported and tried to merge that data in again. I fully expected it to overwrite the data that was already imported, since they were exact matches. Drive Bender imported and duplicated every file with a (1) after the file name. While it would have been nice to be able to choose if you wanted to overwrite, duplicate, or not merge the data, Drive Bender did not delete any data. 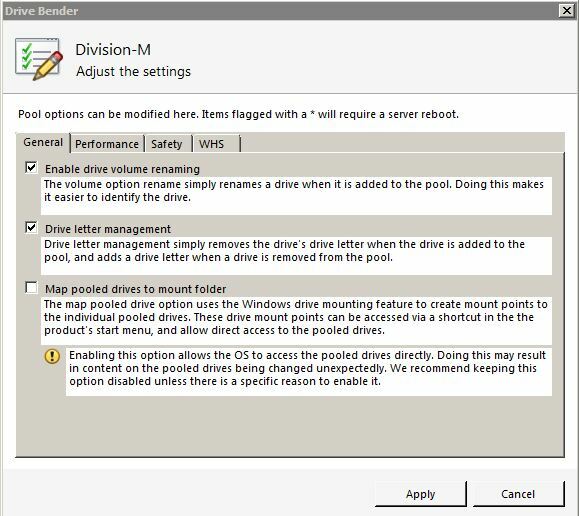 Drive Bender has put all of the controls for Drive Bender in the tab “Pool Management” which is in the Add-In “Server Folders and Hard Drives” on the Dashboard. I’ll review all of these except Folder Duplication, which I will go through in detail in Part 6 as well as how to recover from a catastrophic loss. These tasks are on the right side of the Dashboard and are divided into “Tasks” and “Pool Management Tasks”. The “Tasks” menu (top right-[***OS Backup] Tasks) is a dynamic menu which changes based upon what you highlight and are specific for hard drive management. 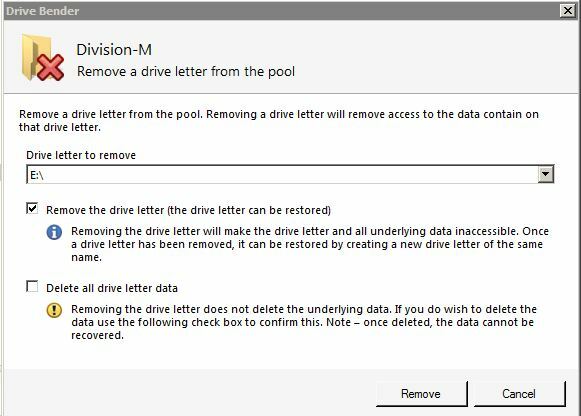 If you highlight a drive in a pool it will give you options to “Remove a Drive” from the pool or “Add or Remove a Drive Letter” from the pool. 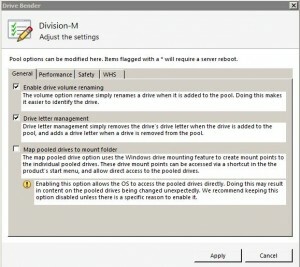 I imagine most WHS 2011 users won’t be changing any drive letters as you’ll be wanting to have everything under one drive letter – kind of the idea of installing Drive Bender, right?! You can see the screenshots of “Add, or Remove A Drive Letter”, or “Remove A Drive” below. These items allow you to perform certain tasks to maintain your pool. 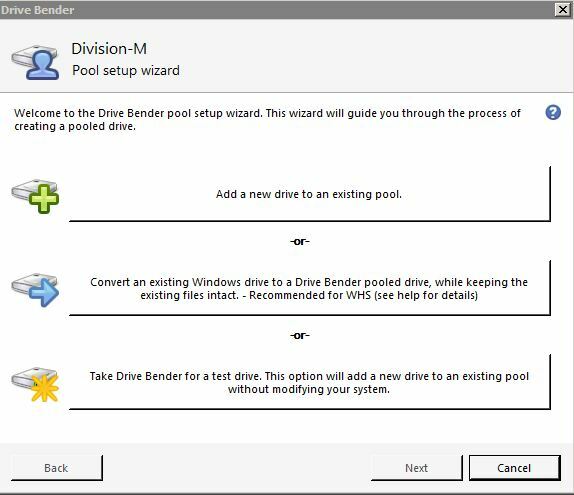 “Pool Wizard” – DB add this to the latest version 1.2.1.5 – which will make it much easier you for to add or convert drives to your pool – plus added more explanation to the features. However, it’s missing “Merge a Drive”. DB has also added a “test drive” feature which allows you to use Drive Bender WITHOUT modifying your system. 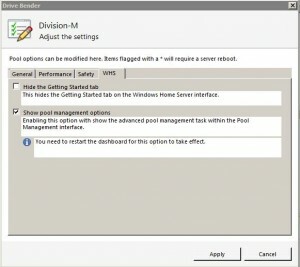 “Add a Pool” – this option allows to have more than one pool of drives. 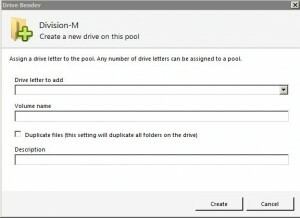 If you have more than one pool of drives, you’ll have a minimum of one drive letter per pool. In WHS 2011, you cannot have an “Unmanaged Pool”. “Select a Pool” – not necessary if you have one pool, which I imagine almost everyone will have. However, if you have more than one pool, YOU MUST SELECT WHICH POOL YOU WANT TO IMPLEMENT THE CHANGE IN BEFORE YOU PERFORM A TASK. I found this out the hard way when I “Converted a Drive”. 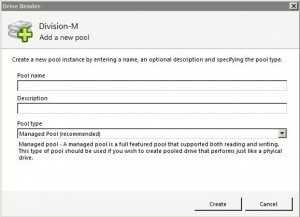 I had created my 2nd pool and figured it would ask me which pool I wanted to add it to – WRONG! 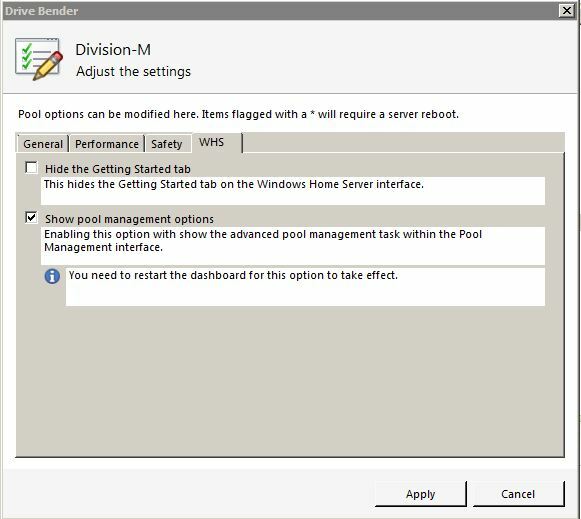 You have to select the pool in which you want to perform a task, shutdown the Dashboard and restart it. Not a great way to do it, but again, I bet 95% of the users will never have more than one pool. “Select a Pool” or “Delete a Pool” – you’ll select which pool you want to be the active pool to perform tasks against. Again, you’ll need to shut down and restart the Dashboard. If you choose to “Delete a Pool”, you’ll select a pool first before deleting it. 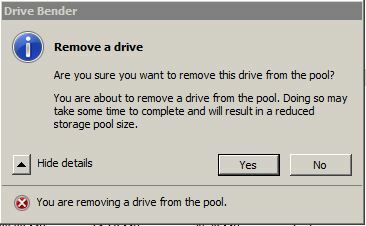 “Restore a pool(s) from drives” – use this option if your OS drive crashes and you have to rebuild your entire pool. WARNING: There are specific steps that need to be completed for WHS 2011 systems. I’ll address those in Part 6. 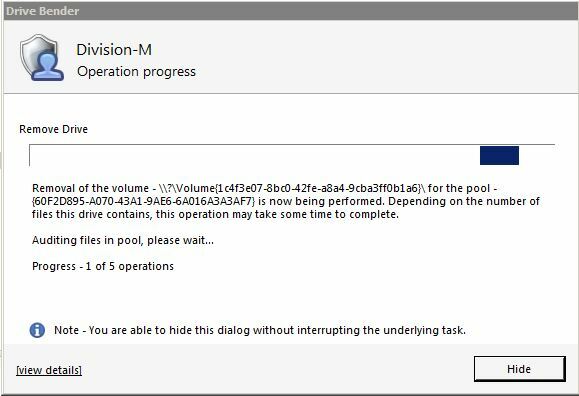 “Repair one or more pool configurations” – this is if a registry file becomes corrupted and allows you to repair the pool. 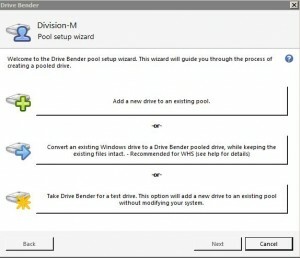 “Repair/Rebuild a specific Drive Bender Pool” – this is the option to use if a hard drive fails. 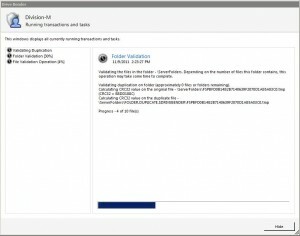 “Running Transactions and Tasks” – is a “Task Manager” that allows you see what’s running and the percentage completed. 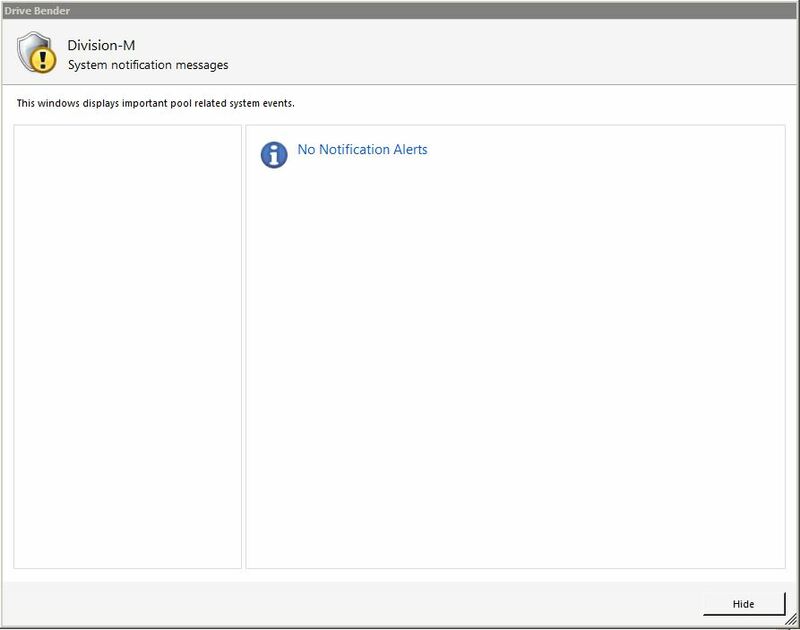 “System Notifications” – gives you an alert of any important Drive Bender notifications. 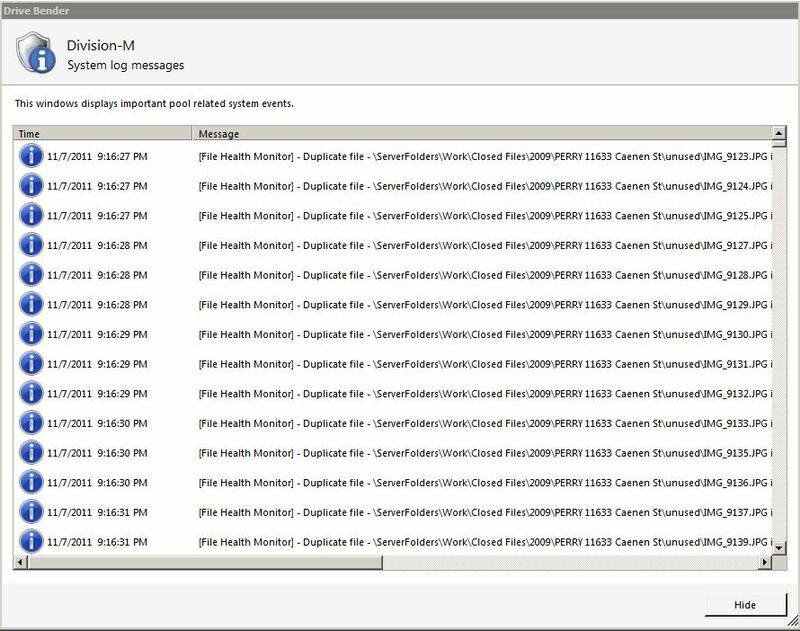 “System Logs” – detailed log of tasks performed. “Settings” – allows you choose several different options on how Drive Bender operates. The “Performance” tab allows you to minimize the system resources Drive Bender requires. 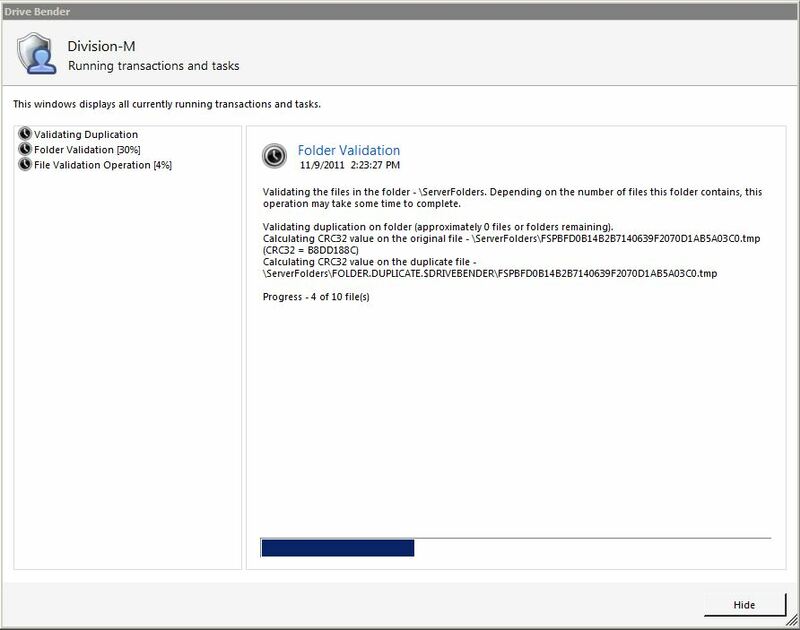 The “Safety” tab choices allow you to determine how files are validated as well as how well the drives are balanced. The “WHS” tab allows you to choose if you want certain options to appear in the WHS Dashboard. 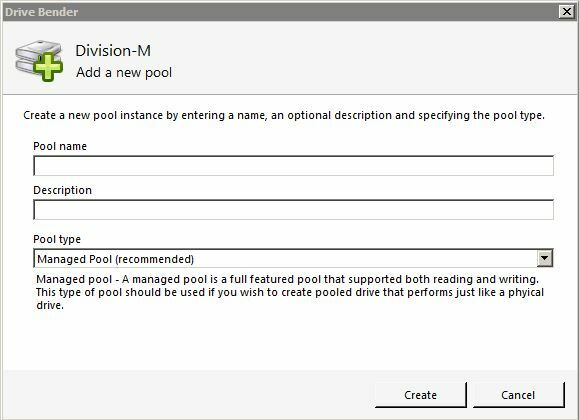 When the “Show Pool Management Options” is unchecked, this removes the “Add, Delete, or Select a Pool” options. 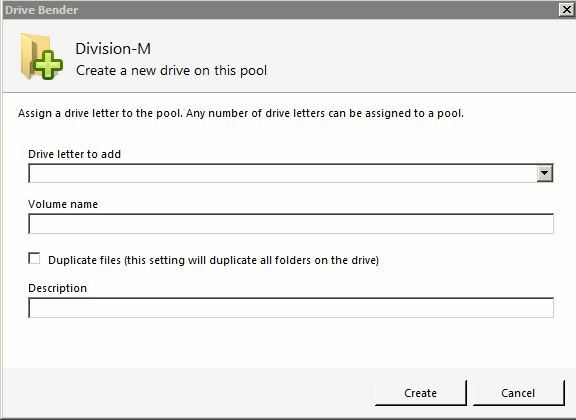 While Drive Bender does a good job for providing various options for managing your Drive Pools in the way you choose, it also has added an extra level of complexity for the average WHS user. Most of the WHS users would prefer a more minimalist presentation. The new “Wizard” feature was a good start in keeping the options and presenting them in less confusing manner. Hopefully Drive Bender will continue to build on this for future versions. 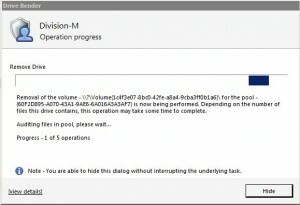 Part 5 will be how to “Import Your WHS v.1 Data Drives Into WHS 2011″. That’s right, I was able to successfully import about 7TBs of data into my WHS 2011 in less than an hour. 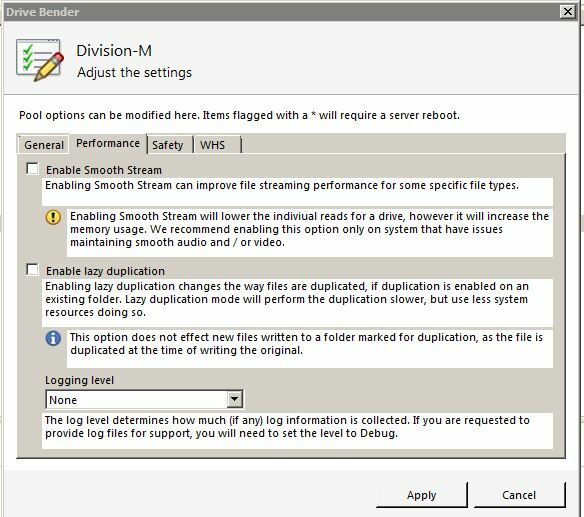 A little preparation and you’ll be able to take your data drives quickly and easily into WHS 2011 using Drive Bender. 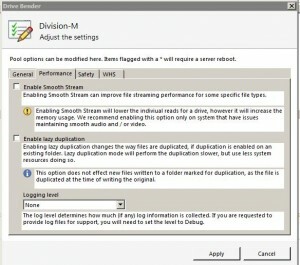 This is part of a multi-part review of the Drive Bender software for Windows Home Server 2011. I guess you could say I'm Home Tech Enthusiast. I'm a little different than most of the people who probably visit the website. I'm not an IT person! I love technology and want to find cool things that have a purpose. I'm not one who likes to program, create things, etc., I like to spend my time using them. Plus, my wife is NOT technology oriented! The more complicated things are, the more my life is complicated! One thing I hate about electronics nowadays, is that all documentation is written as though you know this, you've already been to another site or section to find this, etc. Nothing is clear cut. So, I try to write everything to the lowest denominator. Keep it basic, keep it simple, and make it fun! Okay, now you have my interest… Part 5 will be how to “Import Your WHS v.1 Data Drives Into WHS 2011″. 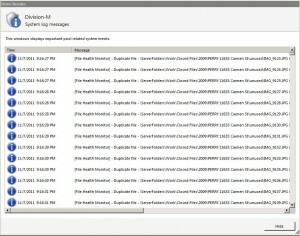 That’s right, I was able to successfully import about 7TBs of data into my WHS 2011 in less than an hour. Still deciding between WHS2011 and unRAID for my next home server. Enjoying reading these multi-part articles. Nice work! Paul, do you know if DB can use 3TB and above drives? I’m not aware of any limitations. In reviewing the DB forum, I found a couple of people who were using DB with 3TB drives and didn’t report any issues. I wanted to test this, but with the price of ALL hard drives skyrocketing, I’m waiting to purchasing some. I just checked a 2TB drive I purchased for $59 after $10 rebate, shipped, and now it is $209. I guess I won’t be adding to my 48.3 TB of WHS storage in the near future. It’s making the price of gold and silver look good. Anyway, thanks for the great series. I am kind of waiting to see how the “other” DE replacement works out once it comes out of beta. Like many, I just want simple operation without data loss. Thanks for the replies. Also, FYI, Office Max has a 3TB drive on clearance for $95. this is an excellent review, thank you very much for it! Could you please check how well Drive Bender manages a Disaster Recovery? I.e. 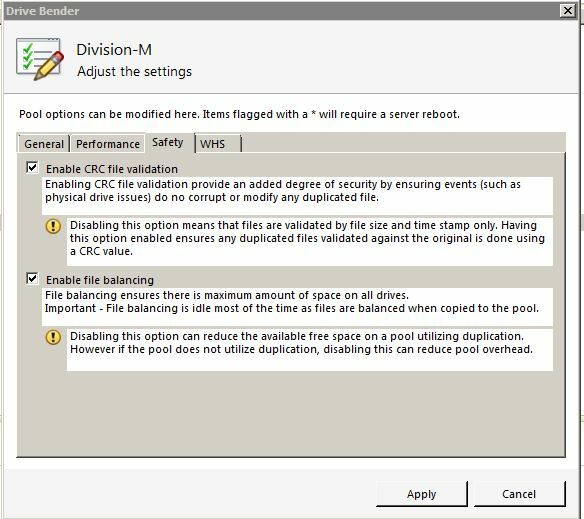 enable Folder Duplication, then ‘kill’ one of the disks in the pool. How does DB react? Next replace the ‘dead’ disk with a blank one and let the repair run. How well does this work? IMHO, this is one of the most crucial aspects for a decent DE replacement .. Thanks for the comments. As soon as the File Duplication finishes on my system, I’ll be doing 3 scenarios: 1). We’ll do a brand new OS installation and see if we can rebuild the pool. 2). Simulate a hard drive failure WITHOUT installing a new drive. 3). 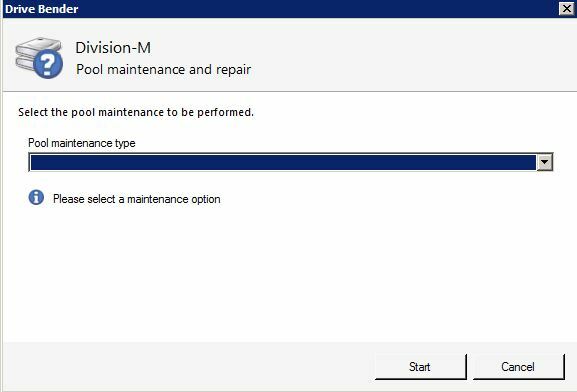 Simulate a hard drive failure and replace the hard dirve. I guess the duplication is still ongoing months later? I too am curious about Marcos question, great review overall though.